IQS Directory provides an extensive list of equipment platform manufacturers and suppliers. Utilize our website to review and source equipment platform manufacturers with our easy-to-use features which allow you to locate equipment platform companies that will design, engineer, and manufacture equipment platforms for your exact specifications. Our request for quote forms make it easy to connect with leading equipment platform manufacturers. View company profiles, website links, locations, phone number, product videos, customer reviews, product specific news articles and other production information. We are a leading manufacturer directory who will connect you with the right manufacturers whether you are looking for industrial mezzanines, warehouse mezzanines, or storage platforms. Abtech Inc. is a manufacturer of equipment platforms for various industrial usages. From concept to reality , we can design and implement a custom platform or mezzanine that best fits your specific needs. Each of our products, large or small, are built to be efficient, durable & versatile. 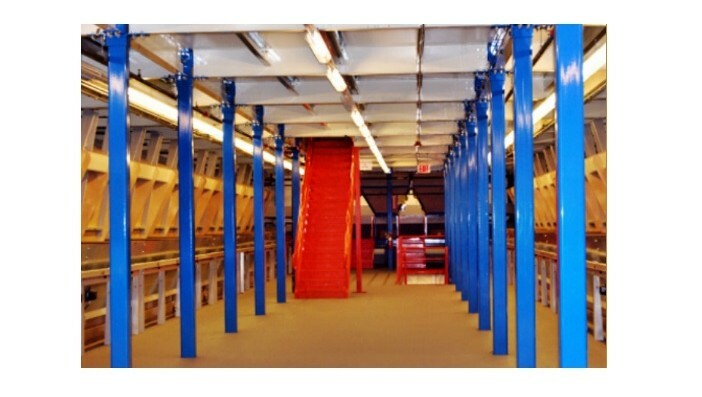 Since 1982, Equipment Roundup Manufacturing has manufactured only the highest quality mezzanines and catwalks. We can assist you in adding cost-effective storage to your existing facilities, to maximize efficiency and minimize operating costs. We can handle the entire project- from inception to installation. The term “equipment platform” refers broadly to any elevated platform used in an industrial setting such as manufacturing or material handling. Equipment platforms go by several different names, among them mezzanines, steel structures and process platforms. Equipment platforms accomplish a few different things. First, they create about twice as much space within a warehouse, which can be used as additional work space or as additional storage space. Second, they provide support to industrial equipment and/or industrial systems like piping systems. Equipment platforms are popular for use on factory floors, in warehouses, in wineries and breweries, in food processing plants and at auto dealerships and repair shops. Typically, equipment platforms are supported by columns and other elements of structural steel. They are also often accompanied by components such as ladders, railings and handrails, kick plates, staircases and gates. These too are usually made from structural steel. They do vary, however, in some small ways. The decks of equipment platforms, for example, may be made not just from structural steel, but from a view different materials, such as: plywood or resin floor, diamond textured steel grating, steel bar grating, open bar grating, open steel planking, corrugated decking and concrete. Also, handrails typically come in two rail, three rail and wire mesh styles, and railings may be extendable. Ladders may be placed at various access points, and staircases vary based on minimum runs, maximum rises, tread, angles, handrail styles, railings and if they have closed or open risers. Gates come in a variety of standard design styles, including single swing, double swing, safety pivot, sliding and lift out (completely removable). These gates, which are typically constructed from hollow structural tubing, can also come equipped with spring-loaded safety locks. Sometimes, equipment platforms are converted into office space using panels. Additionally, they may be configured in rectangular shapes, square shapes or irregular shapes, and placed in the middle of a warehouse, around the perimeter or, if the shelving can handle the extra weight, above existing shelving. Many of these different equipment platform styles are available in prefabricated form, a form that offers simplicity and ease of assembly. Prefabricated equipment platforms comes straight from the factory, where they already been partially assembled, thus offering peak structural form and easy implementation. Once at the workspace in which they will be assembled, they can be bolted around or above existing structures. Sometimes, however, the layout of the workspace is too irregular or complicated to work well with factory-made platforms. In that case, customers can turn to custom made equipment platforms. For the equipment platforms that most closely fit the specifications of an application, customers may request that mezzanine companies send out an architect or consultant who can study the space and then create a unique platform design based on his or her findings. In addition to height and dimensions, manufacturers also calculate how much weight an equipment platform will need to support. This helps them choose out the right materials and reinforcements components with which to build any given equipment platform. Platforms that are used for product storage only, for example, do not typically need to be able to hold as much weight as platforms upon which manufacturing equipment is run. 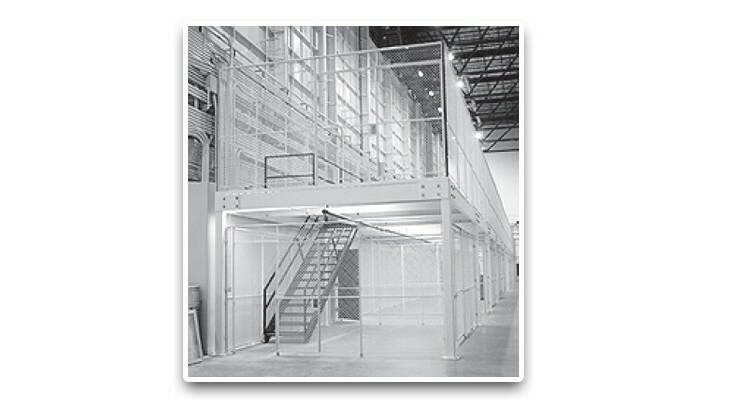 Therefore, most storage platforms can be made using a less expensive, more lightweight configuration. Prefabricated and custom made equipment platforms alike can be equipped with integrative equipment for smoother and more efficient functioning. Such equipment includes electrical conduits, outlets, lights and more. Likewise, to create an office feel, they can even be designed with doors or windows. To make sure they are safe to use and easy to exit in the case of an emergency, any trustworthy manufacturer will only sell equipment platforms that meet the standard requirements of organizations including OSHA (Occupational Safety and Health Administration) and the ICC (International Code Council), the latter which is the organization that sets International Business Code (IBC). Likewise, a good manufacturer will make sure that the equipment platform they sell also adheres to the specific fire safety and building codes of the space to which they are shipping it. For the best results, customers are advised to seek out a well-reviewed and reputable equipment platform manufacturer who can make sure to deliver platforms that are not only well fitted and aesthetically pleasing, but strong and reliable as well. Such excellent manufacturers are listed right here on this page. Reach out to any one of them to get started on your journey to a cleaner, more organized and overall more productive workspace. Equipment Platform – Abtech, Inc.